In the April ’09 issue of Pacific Horticulture, the author traced the rise and decline of California’s begonia industry. Here, she concludes the story with a series of brief biographical sketches of some incomparable people in the begonia world. The period in which they lived constituted a “Golden Age” for the begonia in California. Theodosia Burr Hall (1845-1906) was the daughter of William Hall, later Chief Justice of Iowa. Judge Hall taught his daughter all the correct names of the flowers and plants they saw as he made his circuits on horseback. In spite of the great and enduring affection between father and daughter, she married William Shepherd impulsively to get away from a dreadful stepmother. The Shepherds moved to Ventura in 1876, while the town was still in its formative stages. Mrs Shepherd’s husband was an uncertain provider. In her need to educate her four children, she swapped attractive dried flower arrangements for books and supplies through a national ladies’ journal. Demand grew to the point that she had to buy more land to grow more flowers. Eventually her few acres became a large commercial nursery with a catalog rich in petunias, begonias, and succulents. Mrs Shepherd enjoyed crossing the petunias but was often too busy, so she taught one of her neighbors how to do it. The same was true for begonias. Harry Butterfield, author of “Growing Begonias in California,” a useful booklet for the home gardener, attributed two cane-like cultivars to Mrs Shepherd: Begonia ‘Catalina’ (B. odorata &times; B. fuchsoides), and B. ‘Marjorie Daw’ (B. coccinea &times; B. glaucophylla). Mrs Shepherd also introduced B. ‘Silver Cloud’, a Rex variety. Mrs Shepherd died in 1906, but her former manager, Willard H Francis, his wife, Myrtle Shepherd Francis, and her sister Margaret Oakes continued the retail nursery until 1916. Mrs Francis carried on her mother’s hybridizing. Eva Kenworthy Gray (1863-1951) wrote a small book about begonias that she published herself in 1931. Begonias was the first book in the United States devoted solely to the genus. Mrs Gray grew the plants, wrote the text, drew and later photographed the seedlings at different stages, set the type, and made the copies on a hand press. Eva Kenworthy was born in Booneville, Missouri. She was a university graduate at a time when few women were well educated. After marrying Mr Gray, she lived in Pacific Beach, California. It seems that her interest in the begonia was the result of a chance encounter in 1920 with Constance Bower, an early begonia enthusiast who gave her two begonia cuttings. Successfully growing the begonias sparked her energies and enthusiasm. Flowers became as important as her family. Mrs Gray soon began producing a magazine, The Flower Journal, sending it to anyone who was interested. Then she organized the Begonia Club of Round Robin Letters. Mrs Gray’s work became known when she issued Begonia ‘Nelly Bly’ in 1923. She then made a signal contribution when she crossed B. aconitifolia with B. coccinea ‘Lucerna’ in 1926, leading to the Angel Wing group of hybrids. ‘Lucerna’ had been a chance hybrid found in a garden in Lucerne in 1892; B. aconitifolia, one of the cane-like begonias, had been introduced from Brazil in the same year. Mrs Gray created new hybrids in her Pacific Beach nursery but only sold plants by mail order. Begonia ‘Nightingale’ was one of her selections, introduced before 1938. This cultivar was a tall, cane-like begonia whose flowers had ruffled edges. Begonia ‘Medora’ is her best known introduction. 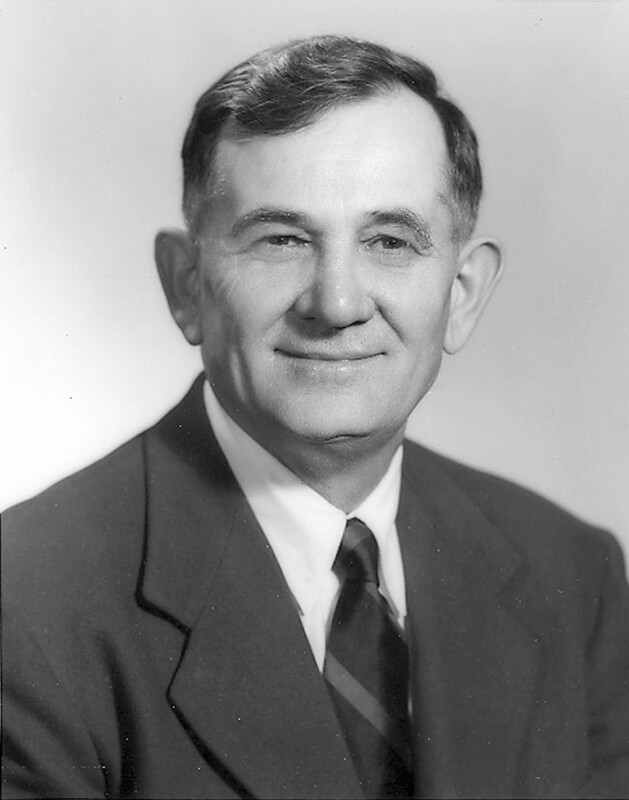 Frank Reinelt (1900-1979) was the son of a miller in Moravia; both of his parents valued education. To make ends meet, he helped his mother in the fields where she grew flowers to sell in the market. He was entranced by the begonias he passed in a small garden on his way to school. At fourteen, he began to working at a nursery near a cemetery. Reinelt collected discarded wreaths and tried to breed new plants from the chrysanthemums lying around. His employer belittled his efforts but, when handsome new flowers resulted, did not hesitate to sell them at a profit. He attended the Pomological Institute in Brno, Moravia after the First World War ended. Founded in 1886, there was a strong tradition of enlightened agriculture in the town and its surrounding countryside. While, the government encouraged an academic approach to agriculture and horticulture, that tradition had become ossified by 1915, according to Reinelt, and he found the place stifling. 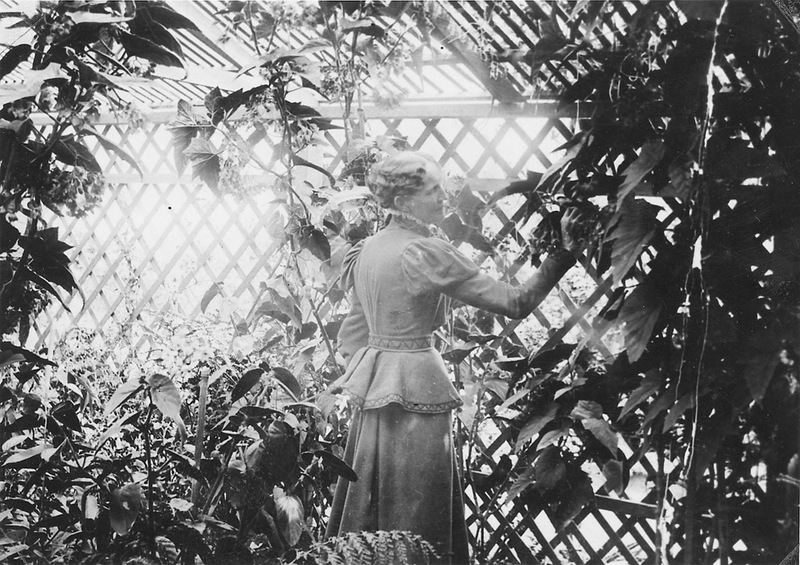 Reinelt did apprenticeships in both Bohemia and Romania, and worked as a gardener for Queen Marie of Romania at her summer palace on the Black Sea. He left Romania for the United States in 1926. One of the reasons for this move was to visit Luther Burbank. Reinelt was already interested in plant breeding and was aware of Burbank’s legendary accomplishments. Sadly, Burbank died while Frank was at sea. He stayed with his farming cousins in Santa Rosa, California, for a short time, before moving to a gardening position at the Marvin estate near Palo Alto. He began to breed tuberous begonias at the estate, using seed from Blackmore and Langdon in England. He liked to go down to Capitola on the weekends to swim in Monterey Bay. While there, he came across several good business opportunities. At a 1928 flower show in San Leandro, Reinelt came across Henry A Hyde, the first commercial begonia grower he had ever met. This was a turning point. Reinelt often visited the Hyde nursery in Watsonville and then stopped at the Vetterle Brothers Nursery in Capitola on his way home. At both nurseries, he acquired many excellent inexpensive seedlings. This was a great boon to his hybridizing program. He began a new series of crosses and soon ran out of space in which to grow them. Reinelt made an arrangement with the Vetterles to grow his seed on a larger scale, provided he could choose the best plants for his further use. The results were incredible. It was at this point that the Vetterles offered to take him on as a partner. The Vetterles put up a substantial sum of money to start the partnership, and gave him access to their growing grounds in return for the extensive new business they foresaw. Reinelt transformed the tuberous begonia. The double form took on myriad shapes: rose form, camellia form, ruffled form, marigold form, picotee, double ruffled picotee, and more. The hanging basket varieties, derived from the species once known as Begonia lloydii, were also modified profoundly. In all cases, the range of colors was expanded from the purest whites to the richest and most glamorous reds. Each flower could be up to ten inches across. In the 1964 catalog of Vetterle and Reinelt (their thirtieth year), Reinelt looked back over his years of experimentation. He had completely re-made the begonias used in the nursery’s famous hanging baskets, culminating in Begonia ‘Pink Shower’, with flowers like rosebuds. This one task had taken twenty years. Reinelt also reflected on the picotee flower form. It had taken him ten years to transform the “insignificant” Begonia marmorata into this exquisite new form. The ruffled form had taken about one hundred years to reach its state of complexity. It had begun with four small-flowered species from the Andes; many had started the process of transformation, but Reinelt had completed it. Reinelt also transformed races of primula and delphiniums, marketing them under the name “Pacific Strains.” The delphinium was a great challenge; obtaining the clear sky blue color took him many years. He wrote about his frustrations with delphinium in the Journal of the California Horticultural Society in 1947. He also worked with iris, phlox, and gerbera daisies. In his “spare time,” he hybridized daffodils, though not for commercial exploitation. Reinelt planted thousands of seedlings a year. Each year, he selected one hundred of his seedlings to be watched, and then only chose a fraction of those for future development. This unerring capacity to choose correctly and to maintain a certain ruthlessness are the hallmarks of a great hybridizer. Quite unintentionally, Reinelt had become a star. Famous people came to buy his begonias: Alfred Hitchcock, the Duke of Windsor, Carl Sandburg, and Ty Cobb. He received several of the most significant horticultural awards in the world. In 1956, the Massachusetts Horticultural Society gave him its Thomas Roland Medal. In 1962, Reinelt received the Veitch Memorial Medal from the Royal Horticultural Society in London; on only a few occasions has that award been given to someone outside the United Kingdom. Frank Reinelt died in December 1979. Charles Burr wrote a brief obituary for him in the Summer ’80 issue of Pacific Horticulture. Rudolf Ziesenhenne (1911-2005), was the dean of Southern California begonia growers—affectionately known as “Mr Begonia.”1 Born to German immigrants in Chicago, he moved to Long Beach in 1923. During the Great Depression, there were few jobs to be had, and Ziesenhenne worked as a jobbing gardener for a time. His father-in-law helped him with some property in Santa Barbara, enabling him to open a begonia nursery in 1934. The begonia society was still new, and Ziesenhenne had not yet heard of it. Herbert Dyckman, a founder of the California Begonia Society, visited the new nursery and encouraged Ziesenhenne to attend three of his meetings but, oddly, would not let him join the society. It was only after the society became national that Ziesenhenne was allowed to join. Ziesenhenne soon took charge of the American Begonia Society’s research division. He handled nomenclature from 1940 to 1942, and again from 1953 to 1978. This was an appropriate role for him, as he belonged to both the American Society of Taxonomists and the International Association of Plant Taxonomists. Nomenclature was crucial for the expanding world of begonias. He was responsible for assigning botanically correct names to new introductions, with decisions based solely on his own experience and observations. Unlike botanists at large institutions, he did not have the benefit of an herbarium at his disposal. In some cases, the names he gave were later replaced by names assigned previously; for instance, the species he named Begonia macdougalli turned out to be identical to B. thiemie. Ziesenhenne photographed each plant and drew its parts with exceptional accuracy. His descriptions were crisp, and he taught himself Latin to comply with academic requirements. It was a mark of honor when he named a new begonia after someone. Eva Kenworthy Gray was honored by B. ‘Kenworthyae’. To celebrate the birth of his son, he issued B. ‘Freddie’, (B. manicata var. aureomaculata &times; B. barkeri); this cultivar is considered to be one of the finest from among his eighty-eight introductions. In addition to his prolific hybridizing work, Ziesenhenne collaborated with Thomas MacDougall, an amateur plant collector and naturalist from New York. 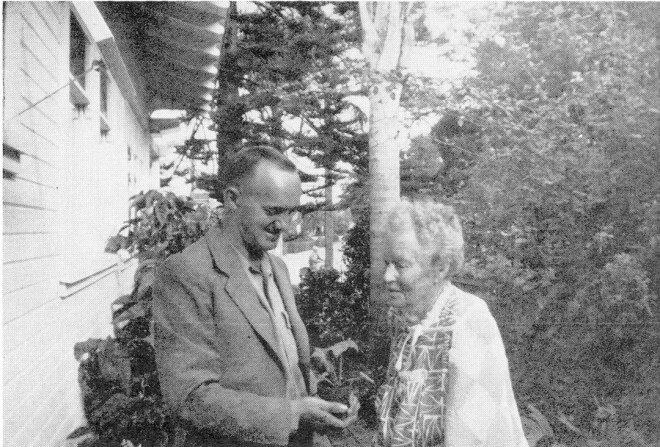 MacDougall worked as a landscape architect, but, during the winters, he visited the Mexican states of Chiapas and Oaxaca looking for new begonias and Echeveria species. In all, he brought back 326 species, although some were duplicates. He wrote about his collecting trips in The Begonian. At first, MacDougall gave the new specimens to the taxonomy department at the New York Botanical Garden for identification and classification. Eventually, he grew tired of the slow process there, and asked Ziesenhenne to be his taxonomist. They collaborated for more than thirty years until MacDougall’s death in 1976. Together, they released the names of dozens of new species. In addition to these seminal contributions to the world of begonias, Ziesenhenne further transformed the field by issuing A Suggested Guide to Classification of Begonias for Show Purposes. Judging the entries at begonia shows had been a hit-or-miss affair until he brought clarity and logic to the process. He recommended that each plant start out with one hundred points; judges would then deduct points for various flaws until they reached a final number. This made a huge difference, allowing all branches of the American Begonia Society to operate in the same way. Thus, an award given in Boston or San Diego had the same meaning. It is almost impossible to do justice to all the important people who devoted themselves to breeding and producing ever more wonderful begonias in an article of this length. At risk of causing some completely unintended distress, I will note the names of some of the other active growers, given to me by Thelma O’Reilly and Michael Ludwig (who are themselves utterly absorbed in this pursuit): Bob Cole, Mabel Corwin, Paul and Marge Lee, Irene Nuss, Barbara Phillip, and the man who set the stage for much that followed, Alfred D Robinson. Brown, Janet. 1998. “Honoring Mr Begonia.” The Begonian 65 (5): 176–180. Butterfield, HM. 1960. “Growing Begonias in California.” University of California Agricultural Extension Bulletin 162. Berkeley, California: University of California Press. Gray, Eva Kenworthy. 1931. Begonias. Pacific Beach, California: self-published. Reinelt, Frank. 1947. “Delphiniums in the United States.” Journal of the California Horticultural Society VIII (4): 140–147. Ziesenhenne, Rudolf. 1969. A Suggested Guide to the Classification of Begonia for Show Purposes. The American Begonia Society.